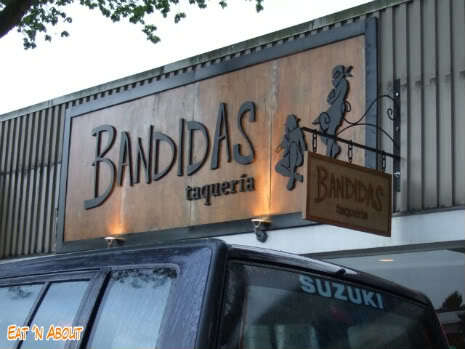 I had drove past Bandidas Taqueria quite a few times and it was last Christmas that I’ve mentioned to L and Jube that we should try it. 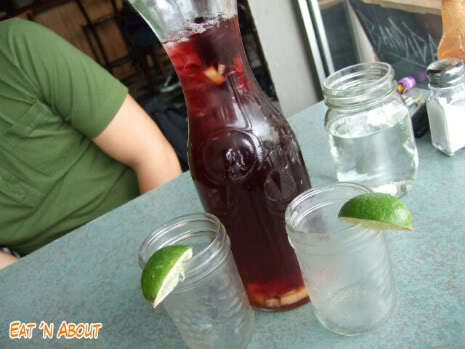 However this visit was with neither of them, but with GRock, purely because of our mutual love for sangrias. It was a very casual place, which was funny as GRock asked me beforehand if he had to dress up LOL. It was indeed a very hippie crowd, a lot of people in tanks and flip flops. You also seat yourself. GRock got the Wolf & Goat made into a meal for $3 more. It had guacamole, purple cabbage, pinto beans, red salsa, jack cheese & sour cream. 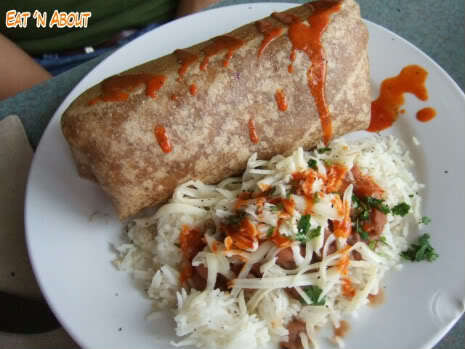 Then he slathered it with hot sauce. It was huge and he really enjoyed it. It was stuffed with ingredients and I was surprised he could finish it. 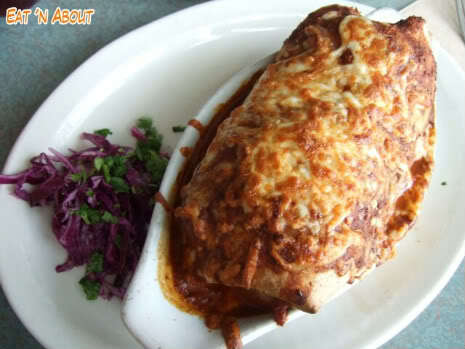 I had the Ronny Russell made into an enchilada with mole sauce. It was stuffed with roasted yams and onions, fresh guacamole, black beans, green salsa, purple cabbage, & pumpkin seeds. It was huge also. However I think that due to the intense sweetness of the yams, I wasn’t able to fully savor the mole sauce. It just seemed like a regular sauce to me. But overall it was very good and since it was so big I was able to pack half of it for lunch the next day. So it was quite a nice experience here and we would definitely come back, even if it’s just for the drink specials.